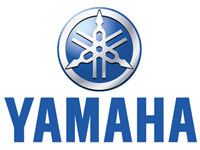 Webmaster: This is my 2000 Yamaha R1. Mods include Dussault undertail with LED lights, Devil dual-shotgun exhaust, LP dark smoke windscreen, and carbon bits. 27-Jul-01 shays_adp.yahoo.com - Great looking ride, webmaster - those are the best looking non-underseat pipes I've seen for the R1. Have you dynoéd or raced it? After seeing all the repainted R1's on here, have you considered painting it? Webmaster: Thanks. I haven't really considered repainting my R1 (I've only had it for 4 months now). The bike is very close to what I was hoping to accomplish for a street bike and I like the looks of it as is. If I spend any more money on it this year, it will be for suspension upgrades. 27-Jul-01 labousq.yahoo.com - LOVE those pipes... I just got a Mig but if I had a little more $$ I'd would have gotten the shotgun. Your bike is excellent! 27-Jul-01 Sam929RRinDenver.hotmail.com - looks good Mr. Webmaster!!!!!!! 27-Jul-01 itsbarn.hotmail.com - I have a 2k myself, and I wondered what those Devil pipes would look like. With the undertail, the bike pulls it off very well! Even the stickers are subtle enough. Nice work. 27-Jul-01 qbzonk.hotmail.com - Nice bike ,but definately lose the tank bra and before you upgrade the suspenders maybe you should work on your lean angle. Sweet ride though, those pipes must sound sick! Webmaster: The tank bra is a LP carbon weave unit. You can't tell from this picture but the weave matches the other carbon fiber parts very well. The pipe sounds pretty good. Not too loud but a nice deep rumble. Yeah, I haven't really had this bike leaned over proper yet. I use my track bike for that. 27-Jul-01 burn1.rollingrock.com - Nice, how do the pipes sound cuz they don't sound that good on their web site, but I don't think that's the true sound? This would look nice with a black frame, just my 2 cents! Webmaster: So far, I like the sound of the pipe (see previous comment). It's not nearly as loud as you might think though. With any luck, I should have access to a dyno in the near future. Then I'll start tuning for the pipe and see what kind of gains I can get with it. 27-Jul-01 SpeeDemonGirl.aol.com - looks great. looks a lot like my R1, except I have the eurobikes tail but the same exact exhaust. 27-Jul-01 glock4501.hotmail.com - props for not throwing your r1 keys out the window and buying a gxzr1000 like everyone else seems to foolishly doing. You can make your r1 run like the gsxr but you can never make the gsxr look as good as the r1. Webmaster: Yeah, I waited and bought my R1 after I had a chance to ride the new GSXR1000. Loved the power of the gixxer but hated that it looked like the 600/750. 28-Jul-01 army25.hotmail.com - Webmaster.......the bike looks great... BUT i hate the tank bra....actually i hate all tank bra's. i don't like the way they look on a bike. Webmaster: Well, you're entitled to your opinion. In my opinion, the 2000 Yamaha R1 tank needs something to break up all the blue. This bra may go overboard a bit, but the carbon weave really helps it out. I'll try to get some pictures of the bra to show what it really looks like. 28-Jul-01 philipw.eden.rutger.edu - Although I've never had D207s on my bike, they seem to have a lower profile and might be harder to wear to their edges. 28-Jul-01 altanianskier.hotmail.com - This is a little off the subject but how do I get my old fzr rotors to shine like new again? Steel Wool? A light sandpaper? I am getting new brake pads and I figured why not shine up the rotors while the calipers are off. Webmaster: I've used light sandpaper with good results. Not only does it shine up the rotors a bit, but it also gets rid of some of the grooves caused from the previous pads. 29-Jul-01 altanianskier.hotmail.com - Thanks a bunch Matt. I'll post pics of my bike when it's done. 30-Jul-01 itsbarn.hotmail.com - philipw, I had D207's on my R1, and they seemed to wear pretty decent until I started putting on major commuting miles. Because the grooves are not that deep, they wore very fast throughout, edges no exception. I liked the tires for the feel and feedback, but they've since been replaced by Mich. Pilot Sports. These are equally good if not superior in feel, and I am expecting better wear. 31-Jul-01 itsbarn.hotmail.com - For 2001, they are discontinuing the 207GP (a.k.a 207Star) for the D208GP. I've never heard of the 207RR, maybe you meant ZR, which is what the OEM D207 is; I'm not sure. But here (in the U.S. atleast) there is no D207RR tire. 31-Jul-01 jeremyhelling.hotmail.com - webmaster.. why don't you get some gear on you stupid son of a b***h!! It's because of people like you that my insurance premiums are increasing. Hehe, jk. I really like the undertail enclosure, very clean looking. Webmaster: ;] But I was just sitting in my driveway taking pictures. 31-Jul-01 jeremyhelling.hotmail.com - That's waht you punk squids say all of the time. You think that you are so good and so perfect tha tyou can't make a mistake too? You could go down at any moment and need to plan for the worst. That driveway of yours padded is it? Then gear up man. Webmaster: I hardly ever crash in my driveway. I save all my crashing for when I'm doing standup wheelies at 90mph through the school zone next door. But before doing that, I like to remove the exhaust canisters and just run an open header. The neighbors love it! 01-Aug-01 itsbarn.hotmail.com - Geez!... Webmeister, I thought I was the only one doing that! Man,... all the good tricks get taken first! 01-Aug-01 kulikovskiy10.hotmail.com - Hey webmaster, that's a nice ride, I was wondering, do you know when Yamaha is going to release the 2002 R1 and R6, cause I just can't wait any longer. Let's see the front pics of your bike. Webmaster: I would think that we should see something at the 2001 Milan motorcycle show in September. That's generally when most manufacturers show their new models. As for front pics, I uploaded a few already. 01-Aug-01 motoninja.hotmail.msn.com - They make those pipes for TL1000S???? Webmaster: Click here for a list of Suzuki options. 01-Aug-01 teevvaj.hotmail.com - where can I get an exhaust like that for my f4i??? and how is it compared to yoshi and scorpions? Webmaster: Click here for the F4i version. Give Rob a call at 732-360-2960 and tell him the webmaster from Sportbike Rider Picture Website sent ya! 02-Aug-01 ENDDYKTM.AOL.COM - SWEEEEEEET....I ride the R6 and have the Devil Shot GUn too....tHAST WHAT I'M TALKING ABOUT BRO!!! 23-Apr-04 eatdirt540.yahoo.com - Nice bike! The pipes are sick, I was thinking of getting the shotgun's or a Micron Carbon for my 02 R1. Any advice? Webmaster: Tough choice. I really like the Devil dual-shotguns, but the cost is pretty high. I've had Micron's in the past as well and have always been impressed with their looks and performance. You would probably be happy with either one. 28-Apr-04 malemute2156.yahoo.com - is there any hp advantage with shotguns? looks good. Webmaster: With shotguns, K&N filter, DynoJet Kit, and Exup still in place, I got a 9 HP gain. THe biggest advantage though is how much it smoothed out the lower RPM range. 05-Dec-00 silverblade44.yahoo.com - Looks like a bad high-side. Ouch! 07-Dec-00 That's not Slight. It's John Kocinski. Look at the helmet and the #plate. Nice to have factory backing! 01-Jan-01 foggysux.aol.com - Definatly Slight...good call!!! 16-Jan-01 ErikSmith1.yahoo.com - Despite the unexpected dismount, Aaron maintains a nice tuck position. However the judges will still have to deduct points for the landing. 22-Apr-01 ASlight.ihug.nz - Sorry boy + girls, but it's actually some little twerp by the name of (Kock)inski On Mr Slights bike, this is from the bike's real rider himself..... Aaron had NO blue on the front of his lid and it ain't a kiwi, its an eagle. 06-Sep-02 thegoshow2002.aol.com - ITS AAARON SLIGHT. 07-Sep-02 gravelstone26.hotmail.com - Aaron has always worn SIDI boots, anyone know what (Kock)inski wears? 30-Dec-02 ssmc.post3.tele.dk - look at the screen and see if it's not saying "AARON"
25-May-04 amck111.hotmail.com - Nice picture!!! Would I be allowed to stick it on my site (aaron-slight.com)? Pictures like this is hard to come by! And its Aaron. Webmaster: Sure, just link back to our site or give us credit. Thanks! Custom Ducati "908SSP" (900 SS frame with a 916 engine and bodywork. Very cool! 11-Nov-00 It is a 900ss air cooled engine that's why it's the '908' SSP. It was featured in Cycle World a few issues ago. 11-Nov-00 antoine73.yahoo.com - I'm agree : it's not a 916 engine but a 900ss !!! Fork, fairing, seat unit, Arrow exhausts and arm come from a 916 but NOT the engine ! Specialy enjoy the Marchesini wheels !!! 12-Nov-00 mykehonda.yahoo.com - The lack of fairings make this Duc one mean looking mother*#*#*#. 29-May-03 anders.mullo.bredband.net - Nice! Very Nice! Sort of lokks like the one in Sweden. 19-Jun-12 exotics4sale.yahoo.com - It's NOT a 916 DA!!! It's a 900 the one that came with the bike. 916 NEVER HAD those heads!! !